vMall is launching as the dedicated, interactive e-commerce platform of Honor and Huawei, designed for its digital native audience and fans. Here consumers will be able to find the best portfolio of products from both brands, Honor and Huawei, including smartphones, tablets, wearables and accessories. In addition to this plethora of premium products, there will also be ongoing added benefits, including special limited offers and flash sales. Currently available in 7 languages – English, German, French, Dutch, Italian, Portuguese and Spanish – under the www.vmall.eu domain, the online shop will be rolling out into further local languages in the coming weeks. To celebrate the launch of the new online store, everyone who registers on vMall can receive coupons to use on the site. There will also be flash deal offers available exclusively on vMall, which are open to everybody upon registration, but are limited to a specific time frame. 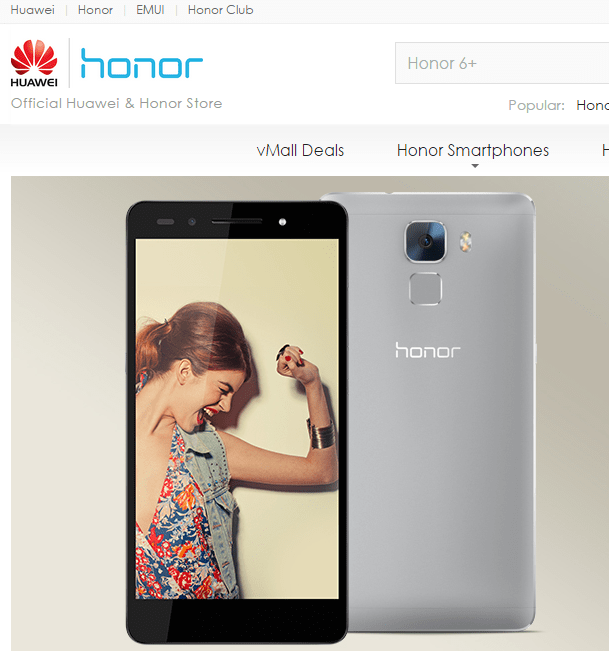 Honor 7, the newly launched flagship smartphone will be first on sale at vMall. vMall provides the complete product offering/solution offering (e.g. Device + accessories + Service) and is one of the first channels for consumers to buy Honor & Huawei flagship products. Active Honor club members can benefit from the promotion and earn a vCode by engaging with the brand and then use the exclusive code at checkout. Each vCode can be used once and toward flash deals as soon as they are announced, taking away the time pressure and allowing it to be used whenever it works best.